Chromasonic TV Serving MetroWest Boston For Over 35 Years! We Belong To A One Billion Dollar Buying Group,This Allows Us To Pass Warehouse Prices On Televisions Along To You! 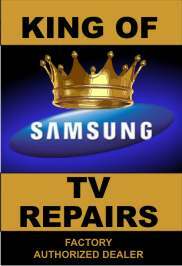 Constant training and 33 years of experience repairing all types of Televisions. State of the art delivery truck, expert and consciously trained delivery staff. A solid commitment to customer satisfaction and the enjoyment that it brings us.